Pioneers in the industry, we offer palletization strapping from India. 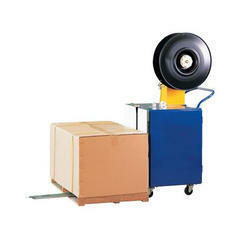 Leveraging on our vast industry experience, we are providing Palletization Strapping. Our offered strapping is designed in sync with industry standard using premium quality raw material and progressive technology at vendors’ end. Apart from this, our quality examiners test this strapping against different quality measures. The provided strapping is made available in variegated sizes, shapes and designs.